Once you have copied your video link, please go to your DreamHorse Account and click the blue Photo/Video button, then select Send Video. Please make sure that your video is NOT set to private and that embed code is ALLOWED. You may also send the link or SHARE the video directly to photos@dreamhorse.com. Please be sure to type your Horse ID in the subject line of this email and paste your video link in the body of the email. 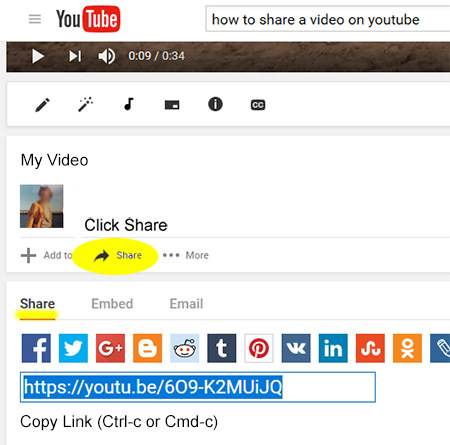 What we want is the actual LINK or URL to your video, not the embed code. PLEASE DO NOT EMAIL ANY RAW VIDEO FILES TO US. Once we receive a link to your video, a member of our staff will get the embed code from your online video and connect it to your ad so that you have a play video button.